I was inspired by a segment on this morning's Today Show. Dave Zinczenko, Editor in Chief of Men's Health Magazine, was talking about when to buy organic produce, and when it's ok to forego the extra expense. I often find myself standing in front of the produce section gazing longingly at the shiny, seemingly flawless organic produce- but in every case is it always worth spending the extra money? The short answer is sometimes, yes, organic is better. Read on! Pesticides on the skin is what we're worried about here, so in cases when you're going to eat the skin, it's better to buy organic produce. Peaches- the skin on peaches is very delicate and peaches have a lot of pest-predators. So there are a lot of pesticides used to keep the peaches healthy and edible. It's definitely better to buy organic, or peel the skin after washing the conventionally grown peaches. If you're going to cook the peaches, peel and wash them well, but conventionally grown peaches are OK in this case. Apples- pesticides have been found in both non-organic apples and applesauce! Organic apples don't last as long, but keep them in the fridge and they will stay longer. Nectarines- up to 33 different kinds of pesticides have been found on nectarines! The soft skin is great at holding pesticides, buy organic here! Strawberries- grown in-season, strawberries will come from the US, and the pesticide use will be less; however, if you buy them out of season they will be coming from places where the pesticide use is less- stringent. Depending on when you're buying them, organic will usually be better. Cherries- a lot of pesticides are used on cherries, even locally grown cherries have been found to have pesticides. Rinse them well and look for organic cherries. Red Bell Peppers- there are many different types of red bell peppers, but a lot of pesticides are used on red peppers, so buying organic is a good idea. Celery- when tested, celery was found to have multiple kinds of pesticides even though the skin is thick. Buy the organic kind if you can! Imported Grapes- most of the grapes you find in the grocery store are from chile or mexico, makes sure to wash these, and in this case, organic is better! Pears- even though pesticide levels in pears are declining, the pests that like to chew on pears have become resistant to the pesticides used, yikes! Buy organic because pesticides are always used on conventionally (and sometimes even organic) grown pears! Spinach- Usually spinach comes in a bag that is said to be "pre-washed.". That said, it's always a good idea to wash it before you eat it. Regardless, DDT has been found in spinach- so it's a good idea to buy organic! Leafy Greens- a lot of pesticides are used on leafy greens because there are a lot of pesticides that also like to nosh on leafy greens. Wash them well, and buy organic. Potatoes- there is a growing level of pesticides being used in potatoes- scrub them or peel them to ensure that you're not getting them in your food. It's not imperative to buy organic potatoes, but if you're planning to eat the skin it isn't a bad idea! Blueberries- this is a new addition to the list! As many as 52 different kinds of pesticides have been found on blueberries! When you're not going to eat the skin or the leaves that might be exposed to pesticides, it's not as important to buy organic; and in some cases you won't be missing out on any extra nutrients buy purchasing organic food. A rule of thumb is to always wash your produce even if you're not eating the skin. Contaminants that don't include pesticides can be transferred onto our produce in the delivery process. It's always a good idea to wash the produce before putting it on your cutting board- contaminating both the cutting board and the knife. Avocados- avocado's the thick skin protects it from pesticide buildup. The meat of the avocado will be pesticide-free even if the outside of the avocado has been exposed to pesticides. Onions- there aren't many pests that are looking to invade onions, so they are naturally lower in pesticides, and the thick skin doesn't hurt either! Conventionally grown onions are fine to purchase here. Pineapple- the thick skin on pineapples is great at protecting it, as always rinse before cutting. Corn on the Cob- even though there are a lot of pesticides used in the process of growing corn, the thick shuck of the corn protects the kernels from contamination. While it's not essential to buy organic corn on the cob, organic always tastes better! Asparagus- asparagus aren't high on the insect "predator" list, so naturally there are less pesticides used on asparagus, conventional asparagus are fine to buy. Kiwi- even though the skin might hold onto pesticides, it's thick enough that it wont seep through to the meat of the kiwi. Be sure to rinse it before cutting and enjoying it! Sweet Peas- a personal favorite! I like them frozen because they are easy to steam for a quick dinner addition, but buying them in the pod at the local farmers market or at the super market is an even better way to ensure that you're not getting any pesticides along with your peas! Cabbage- it doesn't hold onto high amounts of pesticides- so buying organic isn't necessary. Eggplant- even though it has a soft skin, eggplants aren't likely to contain pesticides, so go for the conventional or locally-grown version. Watermelon- the rind is a powerful protector against pesticides! Wash before cutting though. Broccoli- this is the most surprising one on the list! I am so surprised to find out that broccoli is naturally lower in pesticides. This is because it too is faced with less pest-predators and so the likelihood that it will be sprayed is lower. Be very sure to wash broccoli well, though. The bunches have lots of crevasses and other great hiding places for germs and bacteria! Tomatoes- this is a new addition to the "ok to buy conventionally-grown list"! Only a few years ago, my favorite fruit- tomatoes, would surely have been found on the "must buy organic" list. There have been strong efforts to reduce the amount of pesticides used on tomatoes, and it is now safe to buy conventionally grown tomatoes! Be sure to wash them though! Often, you can't control whether your frozen produce is organic or conventionally grown. Not to fear though, in most cases you'll be cooking your frozen produce, so you don't have to worry quite as much. 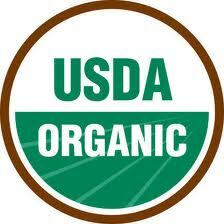 But if you're purchasing any of the produce listed in the buy-organic list, try to find the organic version. On a side note, I think frozen produce is a GREAT option. Why is this? This type of produce comes right from the source and is frozen immediately, so it is able to retain most of its original vitamin and nutrient content. So it's just as good, and even better sometimes than fresh produce! Always stock your freezer with frozen produce, you're more likely to get adequate fruits and veggies in your diet if you always have them ready to use. Another side note: beware of hidden sodium in frozen vegetables, it's often sneaked into them! Look at the sodium content of prospective frozen fruits and veggies before buying. I hope this list helps you with your shopping! Happy shopping! Get ready for a restaurant review this week!